Chia jam has been all the rage for a while now, but on the whole I’ve failed to see the attraction. However, when eating a low FODMAP diet, one of the things you need to watch out for is high FODMAP jams. 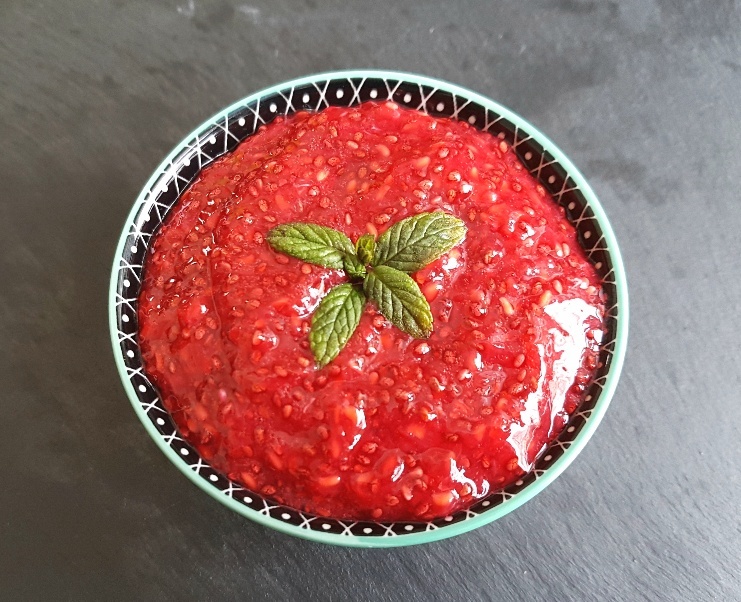 A low FODMAP jam is a jam which is made with a suitably low FODMAP fruit, such as raspberries or strawberries, and is made with sucrose or glucose syrup. High FODMAP jams have got added fructose, high fructose corn syrup, glucose-fructose syrup, honey, agave syrup, sorbitol, mannitol, xylitol, maltitol, erythritol and isomalt.